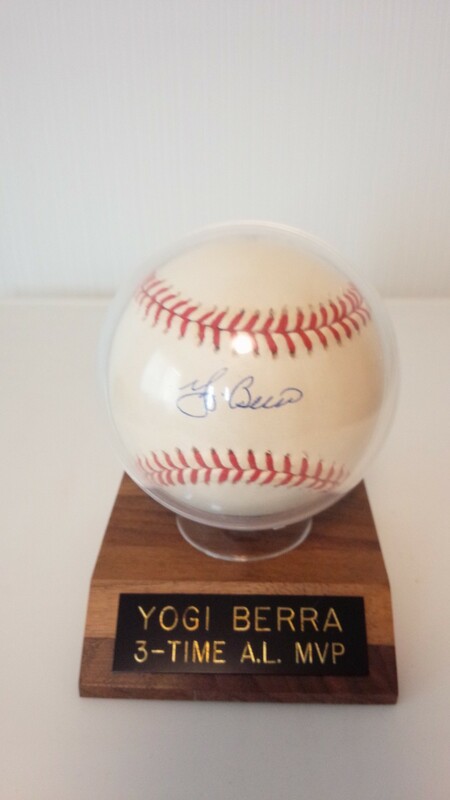 Yogi Berra is one of the most beloved people to have ever played the game of baseball and a larger than life man. I am very proud to have something that he signed and held just a few moments of his monumental life and will forever be happy that my parents gave it to me as a boy. What do you have that means a lot to you? If you see me, please let me know. I would love to chat with you!